Children/Teens - Ballet Arts Centre of Winchester, Inc. Invites young children to explore the excitement of dance through songs, imaginative games and many forms of expressive movement. 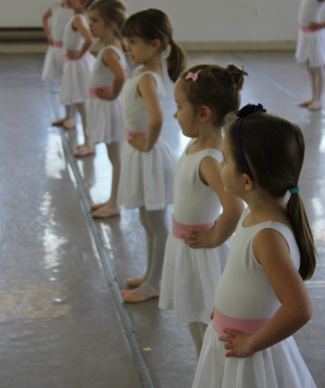 Introduces basic rhythms, coordination skills and pre-Ballet concepts. 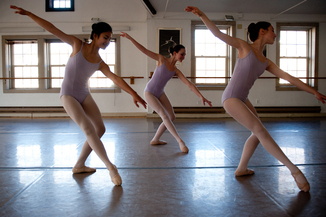 Offers a strong foundation in pre-Ballet concepts, rhythm and musicality, and basic technique. Class is divided into 45 minutes of Ballet and 15 minutes of Tap. 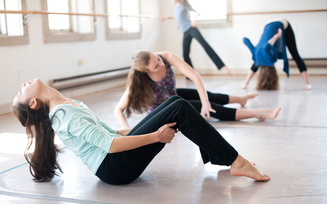 Class consists of the beginnings of ballet barre, center, and floor work with an introduction to jazz. Class is divided into 45 minutes of Ballet and 15 minutes of Jazz. Class consists of barre, centre and combinations in both adagio and allegro, all of which stress proper body alignment, flexibility and muscular control. Students are placed according to age and previous experience. Jazz classes help to develop stretch, strength and coordination as combinations and routines are introduced as a follow-up to extensive warm-up and floor work. Classes develop the student's awareness of musical rhythm and meter by combining sounds and steps with appropriate songs. Students are advanced to Pointe and allowed to Partner only after developing proper body placement and technical strength. Both classes are offered with the recommendation of the Director. Modern classes are offered to students age 12 and up who are enrolled in a program of continuing study. 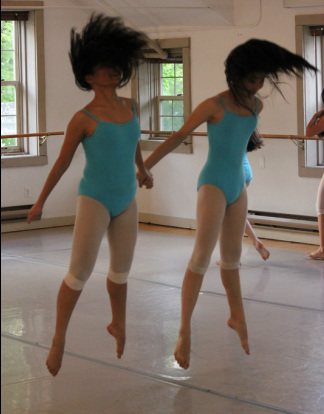 Modern dance explores movement, energy and space in a way that enhances the dancer’s range of motion and body awareness. BAC’s Performance Groups and Performance Company are for students age 10 and up who are looking for a pre-professional dance experience. Admission to the programs are by audition.